Coming up towards the end w have the 2011 Alexana Pinot Gris. I’m happy to get so many OR wines representing at the speed dating! It retails for $26. Melon and pear on the nose. In the mouth the acidity shines through with bright pear, green apple, and a mineral streak. With the acidity, I’d recommend this for anything with a butter based sauce. It would have been lovely with my Eggs Benedict this morning. First up at speed dating for WBC 12 is the 2011 Duck Pond Pinot Gris. Up front I find lots of pear, melon, and floral qualities. 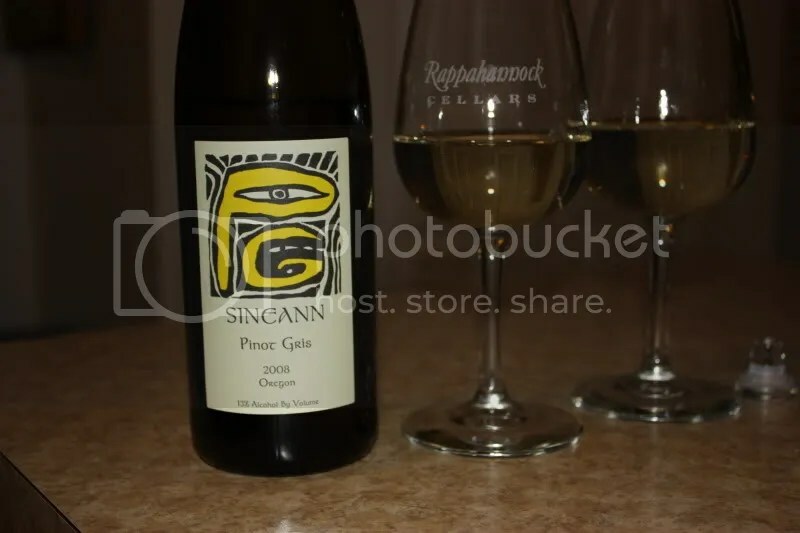 In the mouth it’s crisp with nice acidity, lots of pear, melon, and tropical notes. This would be excellent as an apertif or on a hot humid day like we’ve been experiencing both in Portland and in Virginia. Also might be very good with grilled white fish or cream sauces. I bought this wine quite some time ago. I went to a Pinot and Pinot tasting at a local wine shop (Unwined) back in the spring of 2009. 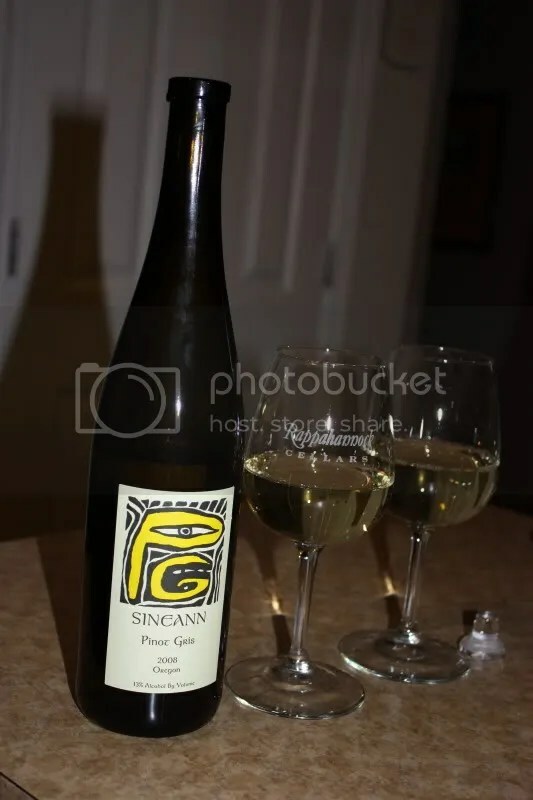 I picked up a couple of different bottles, including this 2008 Sineann Pinot Gris from Oregon. Then somehow (can’t imagine how…unless you’ve seen my basement recently) it got shuffled behind other things and I lost track of it. We decided to pop it open the other night. It had a glass closure, clocked in at 13% alcohol by volume, and I see it for about $11 online, though I think I paid closer to $15. On the nose I found lemongrass, freshly mowed grass, lemon, pear, honey, and honeysuckle. It smelled like a fresh spring day to me. In the mouth I got lemon, pear, green apple, honey, and honeysuckle. This wine made for an easy sipper with light and lively flavors. At an $11 price tag it would make a great wine for a garden party…in the spring of course! *Disclaimer: I received this wine as a sample from the PR folks for Helfrich. 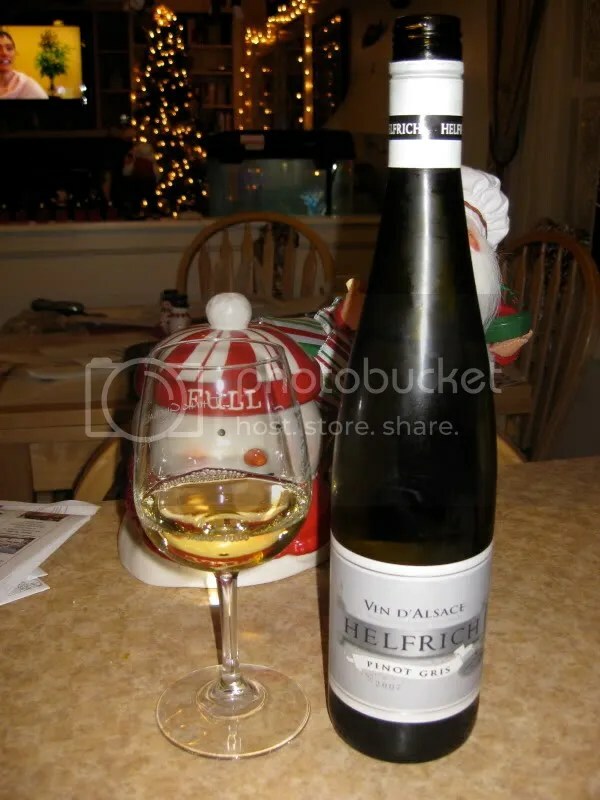 Continuing on wines not from California, I dug into a box of samples from Alsace this week. With all the heavy food around I felt like wines that were light and crisp and would contrast entirely with gobs of mashed potatoes and pounds of cookies. 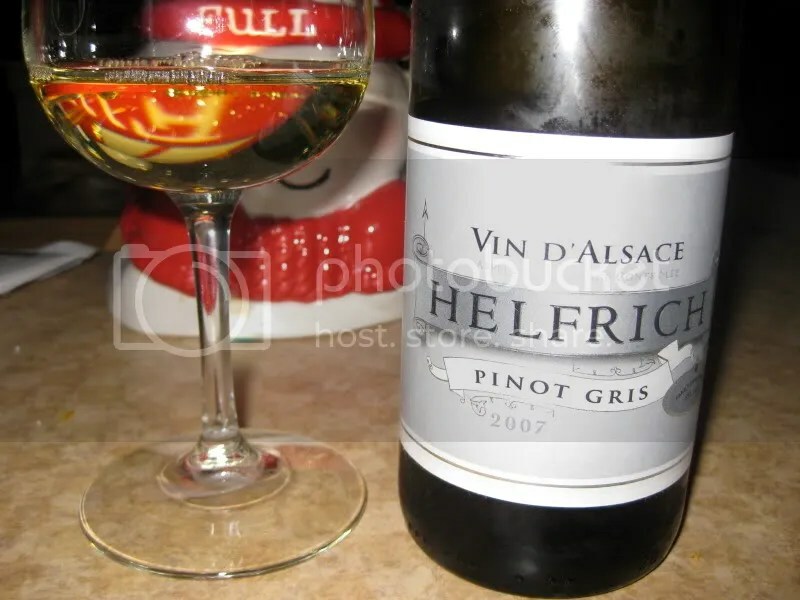 In the vein, I pulled out a bottle of 2007 Helfrich Pinot Gris. The wine had a screw cap closure, clocked in at 13% alcohol by volume, and retails for $9.99. On the nose I found honey, lemon, white pepper, and flowers. In the mouth I got lemon, yellow apple, honey, honeysuckle, and apricot. 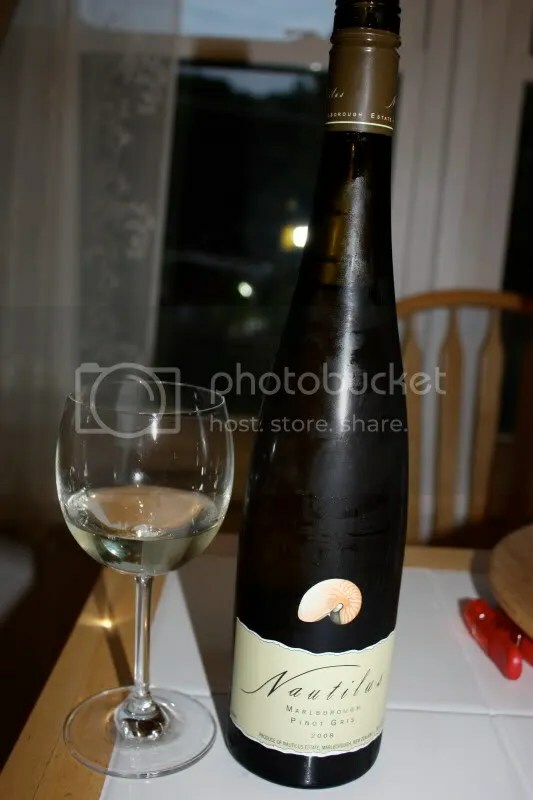 The wine had a round mouthfeel which surprised me a bit, as I was kind of expecting it to be crisp, but the round mouthfeel made it very nice on its own. *Disclaimer: I received this wine as a sample from Spy Valley Wines. Lots of Spy Valley wines being consumed around the Wannabe Wino house these last couple of weeks. After this one, I still have a Gewurztraminer and a Pinot Noir to taste and tell you about. 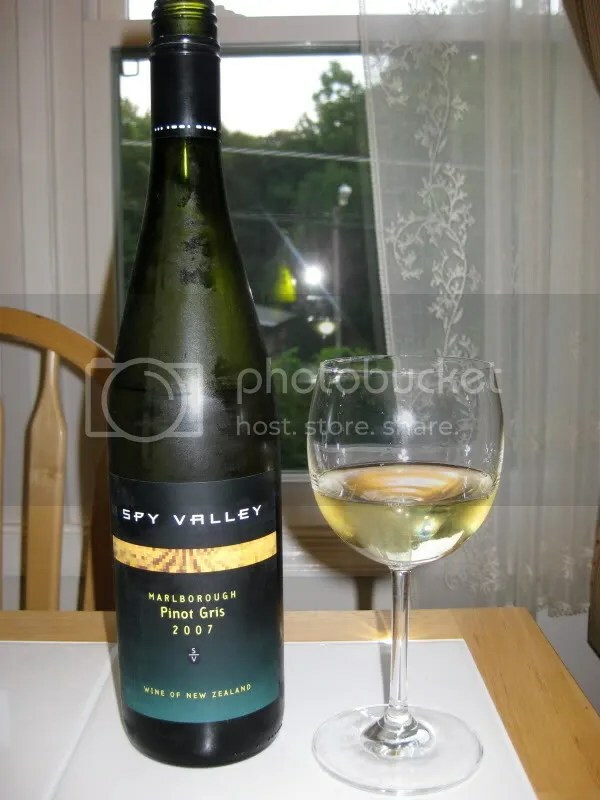 Overall, I’m really enjoying the Spy Valley line, the stand out for me so far has been the Sauvignon Blanc, but I would buy any of the ones I’ve tasted. 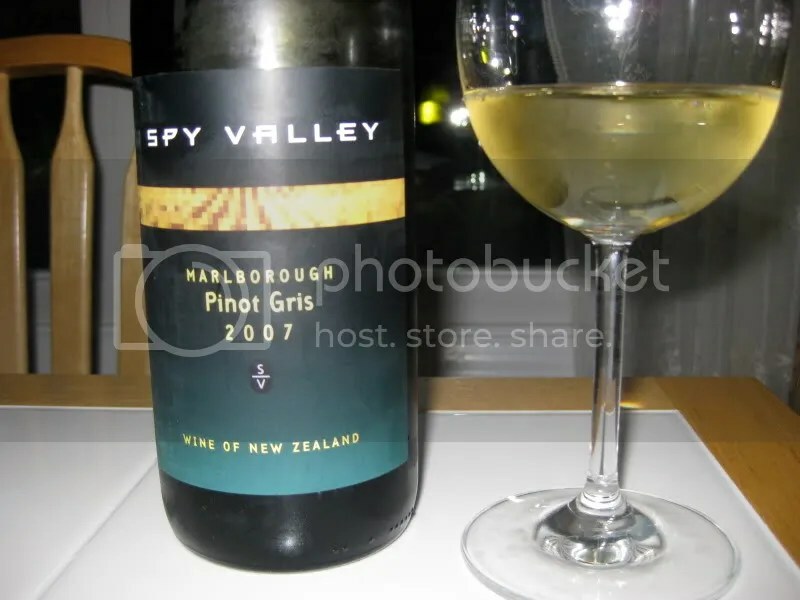 Tonight we tried the 2007 Spy Valley Pinot Gris. It had a screw cap closure, looks to retail for around $15, and clocked in at 13% alcohol by volume. That’s another nice thing about the Spy Valley line–relatively low alcohol levels overall compared to the wines I usually drink. On the nose I found lemon zest, lemon grass, white flowers, very faint golden delicious apple, faint pear, melon, and some tropical notes. In the mouth I got spice, white pepper, tropical fruit, star fruit, melon, a crisper apple, and a spicy kick on the end. The fruit in the mouth showed bigger than I expected based on the nose, but it also had a spice characteristic throughout that lent the wine some depth. We enjoyed this bottle. 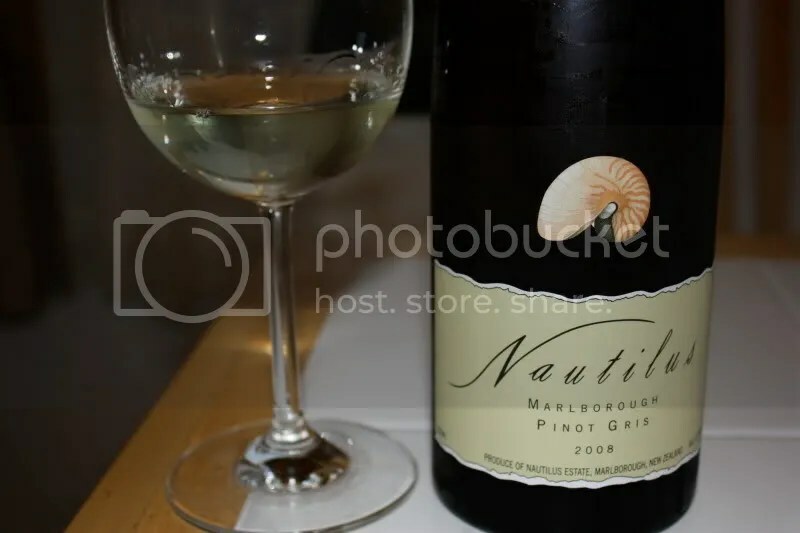 Filed under: New Zealand, Pinot Gris, White, Wine |	Comments Off on Spy This! 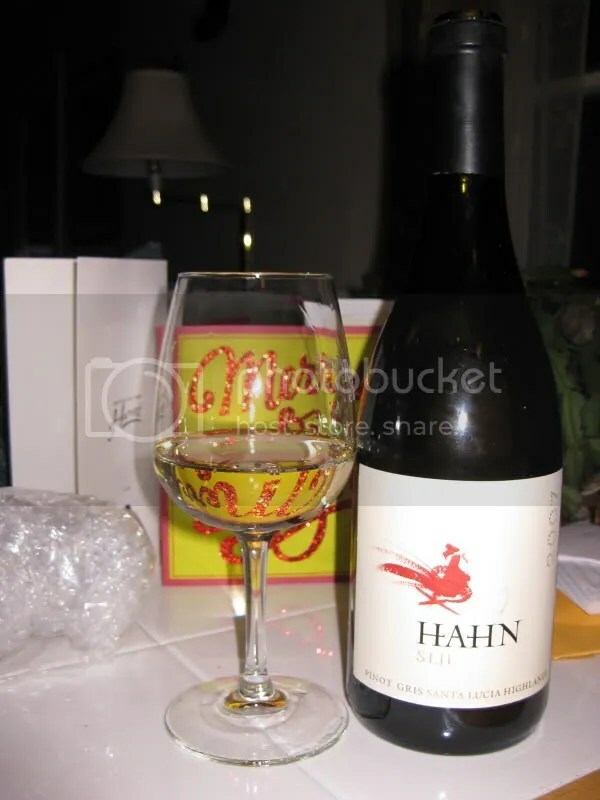 Disclaimer: I received this wine as a sample from Hahn Winery. I’ve been sitting on two samples of wine from Hahn winery since I went to the Wine Blogger Conference and Wine Diver Girl handed them to me. We just haven’t (despite the continuance of posts here) been drinking as much as we normally do from our own stock since it’s the holidays and we’ve been out and about on the town quite a bit. 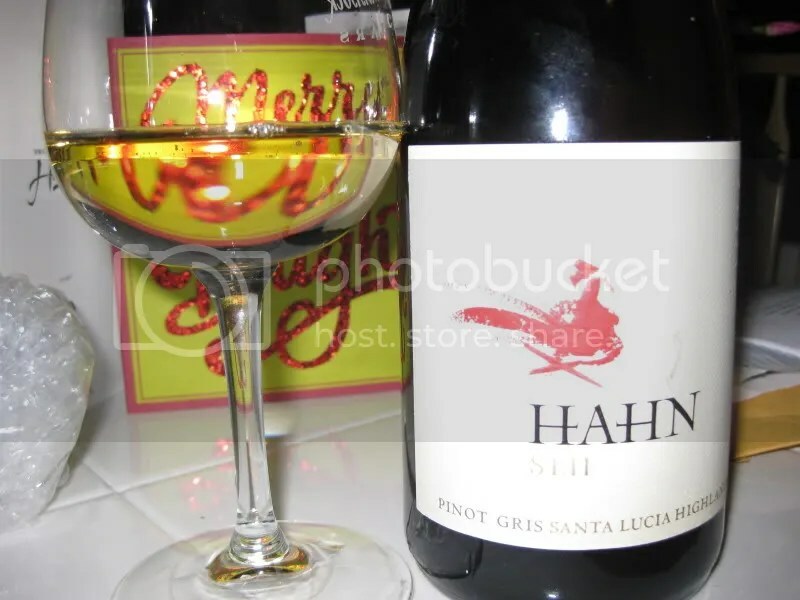 I’m much looking forward to the Meritage that I have left to try, however, I chose the 2007 Hahn SLH Pinot Gris for this evening. The wine clocks in at 14.2% alcohol by volum, had a real cork closure, and is available for $20 from Hahn. When I smelled it, the pear knocked me over. I loved it! It smelled like fresh pear! I also found orange zest, mandarin, citrus, white peach, lemon, and a hint of vanilla of the nose. In the mouth I got tropical fruit, pear, lemon, green apple, and tons more pear. I really enjoyed this wine. Overall, I found it to be crisp, tast, and a little viscous on the back palate. The fruit was fresh and clean. I imagine this a perfect porch wine for the summer.